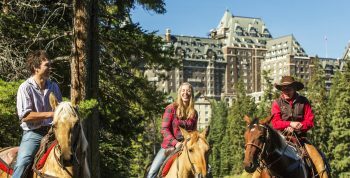 We are always preparing for the Rundle Riders Therapeutic Riding program at Camp Chief Hector YMCA for the upcoming season. 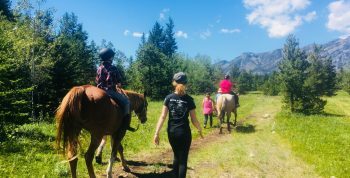 Rundle Riders Therapeutic Riding program has been very fortunate to facilitate our program in the Spring, Summer and Fall at Camp Chief Hector since 2000! Through the years we have seen some amazing achievements by the participants and we look forward to continuing on with new and returning participant’s horsemanship experience and skills. The therapeutic riding allows the participants wonderful physical therapy on the back of a horse to strengthen and stretch muscles. 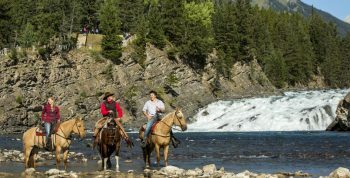 There is also the special bonding of the participants with our horse friends at Camp Chief Hector YMCA that makes this experience so unique and fulfilling for all! 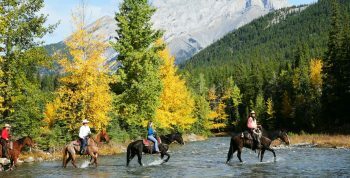 To create riding opportunities for all people with all abilities in the Bow Valley. To facilitate the construction of a covered arena for all-weather riding. 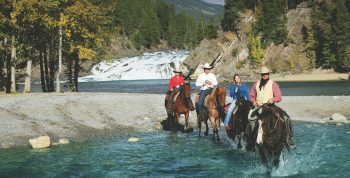 To become approved by Canadian Therapeutic Riding Association (CanTRA) and North American Riding for the Handicap Association (NARHA). To provide people with all abilities the recreational and therapeutic benefits of horseback riding. To increase public understanding of the abilities of people with special needs. To encourage safe equine-assisted therapy through the education of volunteers and members.